From The Iowa City Press-Citizen, Aug 30, 1904. Read about electronic signatures here. 1904 – seems like a very premature death notice! 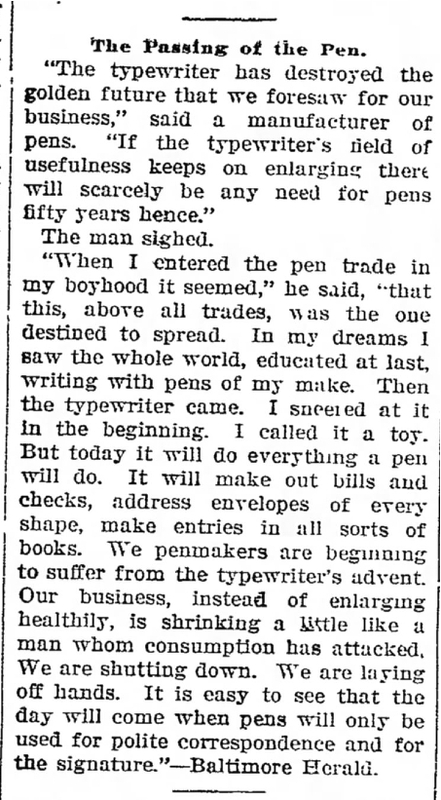 Fortunately pens and typewriters continue to have a life.